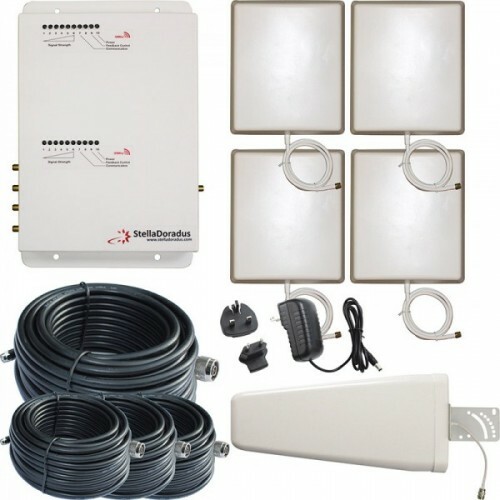 Will amplify 4G and GSM voice into your office or large installation. This booster is specifically designed for larges offices. It has 4 output ports that allow you to attach up to 4 internal antennas. Each of these antennas provide mobile coverage for about 3/4 rooms. That’s a total of about 15 office rooms! 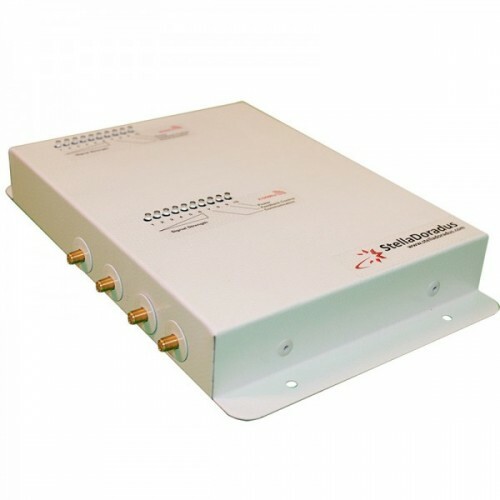 SD-RP-1002LG-4 repeater kit amplifies 4G (at 800Mhz) and GSM (at 900Mhz). These 2 frequencies are at the lower end of the mobile spectrum and are very suitable for propagating around the inside of a building. With this system installed, you can expect excellent voice call quality and high 4G data speeds. 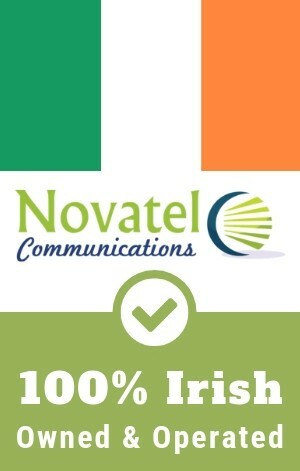 This booster is VERY effective and provides our customers with the coverage they require.